Musical games are usually a hit with children, and as such we often stock up on them. We actually have reviewed quite a few musical apps, which you can check out here. The latest apps to pique our interest come from new development studio Mosster, who recently released a suite of four music toys for kids: Tachin Tachan, PanPaTan, Tachin mini, and PanPaShake. Made to mimic real toys, these apps encourage kids to explore sounds by tapping and shaking their devices. Tachin Tachan is a musical suite that comprises five quirky musicians: Little Maraca, Mr. Moustache, Mr. Little Plant, Quirky Bird, and Funny Fish. The musicians are played separately. They also require kids to interact with their devices differently. To play Little Maraca, for example, kids must shake the device back and forth. 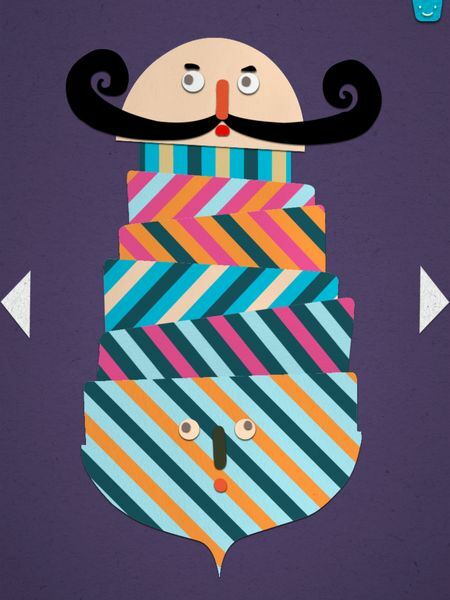 To play Mr. Moustache, they must tilt the device left or right. The speed of which they tilt or shake the device will affect the tempo of the musical sounds, just like with a real instrument. The rest of the musicians play just as uniquely: Mr. Little Plant produces notes when kids stretch him, and Quirky Bird makes sounds if they blow into the microphone. With Funny Fish, kids high-five the screen to make him puff up and flare up. If you’d like to try out Tachin Tachan first, you can check out its lite version, Tachin mini. It contains Mr. Moustache, the tilting musical top. Realizing that children love making a din, PanPaTan puts a variety of musical-making options on one screen. 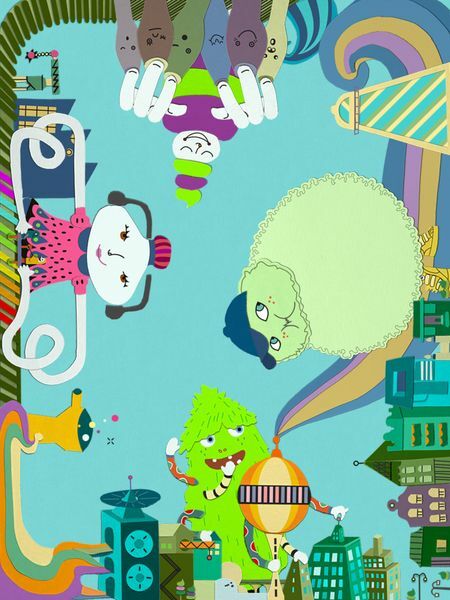 The premise of the app is four giant siblings making music in a city, and kids will find instruments made out of carriages, skyscrapers, or factory chimneys. The app splits the screen into four sections, so up to four children can play together at the same. As soon as the app starts, they can tap, spin, or drag their respective instruments to follow a musical tune. The music doesn’t go infinitely, but kids can always replay it from the beginning. With every repeat comes a new random instrument so there’s plenty of room for musical experiments. PanPaShake is a free app that stars the giant sister from PanPaTan. 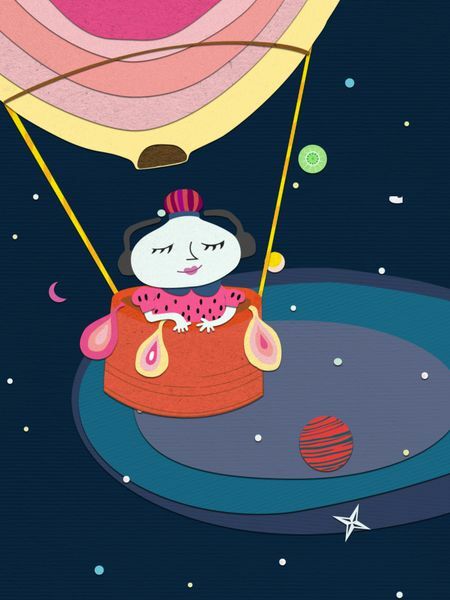 In the app, kids can shake their device to play Twinkle Twinkle Little Star as she rides her balloon into the air. They can also swipe on the screen to navigate the night sky. 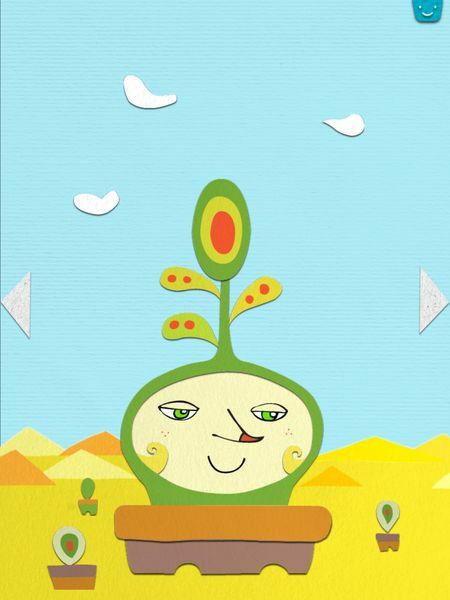 All four apps in Mossters’ musical suite are intuitive and easy to play. They were designed with toddlers in mind, but kids up to five years old can still get a kick playing with them. Tachin Tachan, PanPaTan, Tachin mini, and PanPaShake are available as separate apps. All of them do not contain ads or in-app purchases. All four apps are expressive and playful. They also encourage children to play together. My favorite of the suite is PanPaTan, which allows four people to make music together on the same device. Design-wise, the app doesn’t disappoint. The graphics are colorful and the characters unique. I also enjoy the original music and sounds. Colorful and interactive, these four apps encourage kids to explore musical sounds in various ways. They are easy to use and provide room for creativity. In the case of PanPaTan and Tachin Tachan, the whole family can join in on the fun and make music together. Recommended for kids ages five and under.